I came across this detox by the word of a friend who had cured her mother from severe lung cancer by using it. So I decided to do some research on it, and it seems to have an profound effect on cancer cells and for detoxing the body in general. The concept being so brilliantly simple and clever. The simplest things are often the most revolutionary. I like that. I gave it a go and have been on it now for 7 days and the results are stunning. System revitalized; all engines up and running. It gave me a severe “die-off” effect, so maybe look out for that. The die off is when your cells start detoxing and the built up toxins in them enters the bloodstream. ​I only took two teaspoons a day and now I am on 4 teaspoons a day and intend to stay at that level for a month and then stop. Wait some hours between each teaspoon. My die off was a tremendous headache, which actually took me down in a way that I haven’t been able to work for a week, only occasional writings. I thought: Wow-Detox gone nuclear. So maybe look out for the “Die off” if you decide to give it a go. Plan it, so it won’t interfere with working hours, social events or such. When my die off lifted, it was like an amazing relief. I had some trouble preparing it right. Not too much heat, not too low, when you blend the maple syrup with the baking soda. If it taste bitter: Too much heat. If it doesn’t mix: Too low. The mixture is best kept at room temperature, no fridge! Make for 6-7 days each time. If it gets white/grayish at the top, throw it out. Below is some stuff I collected on how to and further explanations. 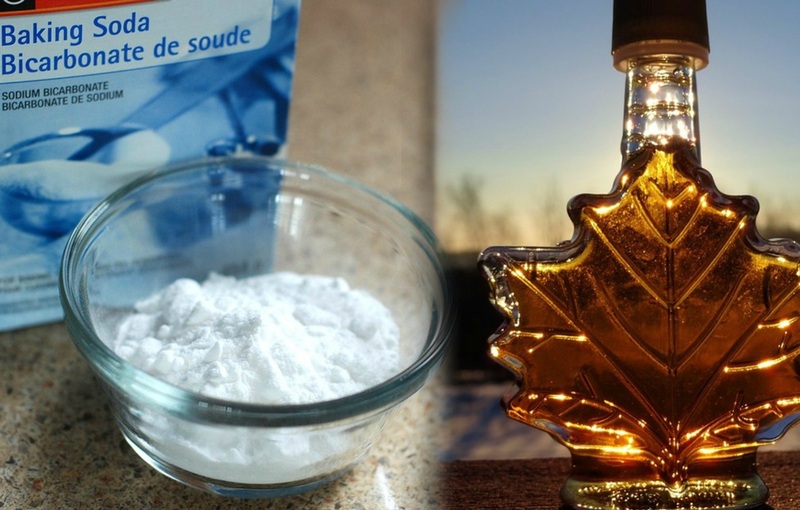 Heat the maple syrup to a warm temperature to dissolve the baking soda (this need not be at a boil). Once warmed, stir in the baking soda for 5 minutes. Example: 90 tsp syrup, 30 tsp baking soda. Store this at room temperature. Make enough for 10 days, beyond which mold may grow. This article was featured on Natural Blaze with express permission from the author, all author rights reserved.